Okay, I know the title is rather strange but I've run out of ideas. I need at least 2 cups of coffee in the morning before I'm coherent but I'm typing this out before I've even taken a sip. 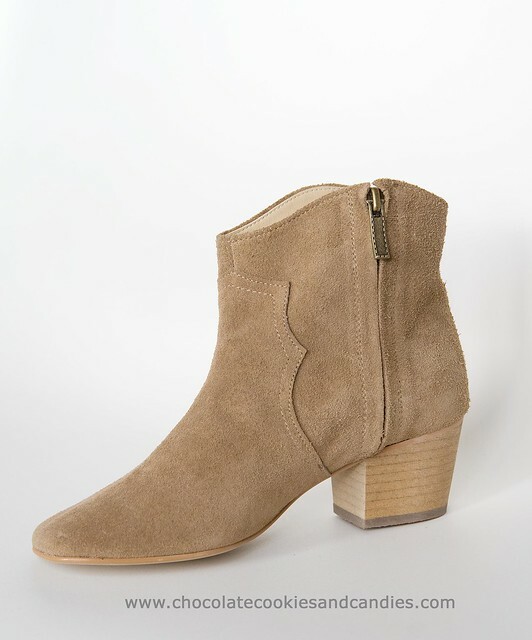 As you probably know by now, it has been a rather difficult journey locating a pair of beige colored ankle boots in my size. Shoe designers, if you're reading this, please make shoes for people with small feet. Yes, we are full sized adults with pixie sized feet but we love shoes too. And no, please don't ask us to shop at children's shoe store because we like to think we're more stylish than our kids. Before I start writing an entire poem dedicated to ankle boots (just kidding! ), let me bombard you with photos I've compiled of gorgeous women wearing this holy grail of mine. Now that all of you have been sufficiently hypnotized with photos of Isabel Marant Dicker boots, I'll get to the point of this post. I've discovered a website called Pretty Small Shoes selling shoes in various styles in teeny tiny sizes, thanks to a lovely Purse Forum member. 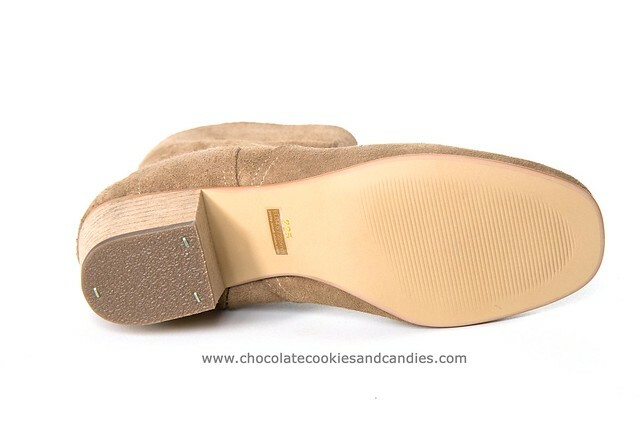 I was thrilled to find out that they have a pair of ankle boots that look pretty darn similar to the Dickers. They're called Walk N Talk, presumably because one can walk and talk without falling flat on their face thanks to the low heel. The catch is it's all custom made from outside of the UK and can take up to a month. I duly ordered and after several emails back and forth as well as delays, I finally received them last week. I've decided to size up to a 34.5 knowing that I'll probably be wearing thick socks in winter. The shoes are true to size. I've eyeballed the boots and inspected them with a fine toothed comb. They look impeccably made. 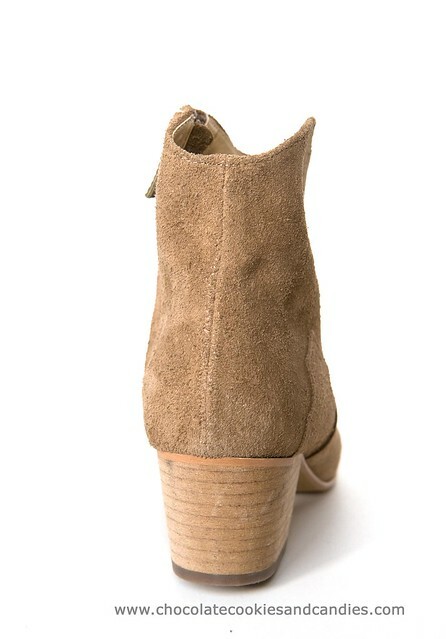 I can't fault the tidy stitches, soft suede leather with excellent leather lining nor the perfectly made soles and heels. In short, the quality is truly remarkable despite the £139 plus shipping price tag. My only complaint is that I'd prefer that they use a single piece of leather to line the insole. Often I find that with continual wear, the edge of the half insole start to come loose fairly quickly. The solution is to buy a set of cushioned insole which I haven't done yet. For the past 2 days, I've worn them to the church, playground, school runs, grocery shopping and attended meetings. I've got flat feet and don't take to heels all that well but surprisingly enough, my feet do not hurt at all despite wearing them practically for hours. Hopefully these will hold up for several winters. wow, those look great! how is the quality of the suede? I have pretty tiny feet too, it's nice to know that they are other options out there! Congrats on finding the Dicker wannabee in your size!! They look really well made (based on your pics and description)! And bonus points for being comfortable too! wow beautiful! i can't wear suede. one wear and they'll get all dirty. hey have you any tips on what to use to clean leather handbags? please tell! Anon, the quality is impressive. I'll have to honest and say that I was rather apprehensive when I placed an order but so far, I'm quite pleased. AA, I'd much rather have your decent sized feet than my dwarf like ones. Sharon & Sam, I've got a post lined up where I'm going to pair these with my existing wardrobe. Terri, I used different lotions depending on the type of bag. What kind of bags have you got? Nice find! 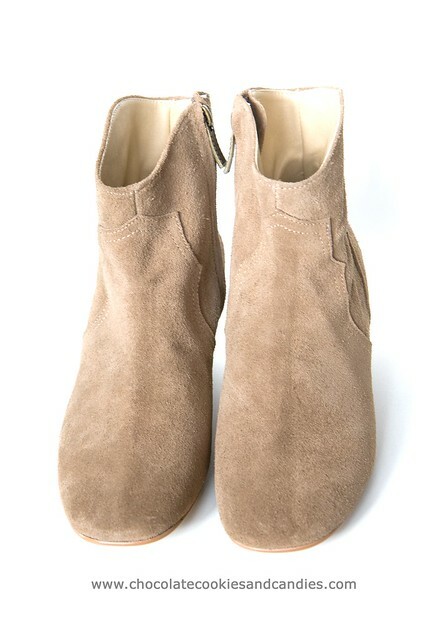 Those come the closest to the Dickers of any ankle boot I've ever seen. Love them! These look AMAZING and very very close! Aren't they so comfy? I love the color of yours and the price is nice too! lauraloo, they're almost identical. The only difference is the sole which isn't made of leather. DA & Katherine, surprisingly they are but I wouldn't want to walk in them all day. £139 is heck of a lot cheaper than £375. Mind you, I would've forked out that much seeing that I was obsessed with finding a pair. SassyUptownChic, you lucky thing! Wish I have your height and feet. Glad you bought a stand-in pair! Believe you will still want the real McCoy, prove me wrong, lol! Your love for IM is really rubbing me the 'wrong' way cos I think my purse is shouting for help knowing that I've fallen into your spell! Lol!!! Can't wait for my trip to Paris to hunt down 1-2 beautiful & classic pieces like yours! Stef, I'd love to get the real McCoy if they start making them in my size. Or else, I'd have to resort to putting 2 insoles! Woohoo!! You're heading to Paris? I'm excited for you. Do go to the IM store at Republique. They have an amazing inventory compared to the rest. Yes I'll be there at the end of the year! Can't wait to drop by the IM store & hope to get 1-2 items ! Stef, you'll be so pleased when you find out the price difference of IM clothes and shoes when you're in Paris. So much cheaper!